Heather Rabbatts has over 20 years of executive and non-executive experience from public and private sectors and across a range of industries, including local government, media, financial services and football. In 2012, Heather was appointed to the Board of the Football Association, the first woman to hold the post. She has been a former executive Deputy Chairman of Millwall FC and a former Governor of the London School of Economics, a Governor of the BBC, a non-executive Director of the Bank of England, Managing Director of the education division for Channel 4 Television, Chief Executive of Impower, Chief Executive of the London Boroughs of Lambeth and Merton and Deputy Chief Executive of the London Borough of Hammersmith and Fulham. Her role as Executive Deputy Chairman of Millwall Football Club proved to be one of her biggest challenges. Few women are welcomed into the world of football, far fewer of mixed race, who admit to knowing nothing about football. However, she has always relished a challenge and took the lead on arrangements for a significant investment into Millwall by an American Consortium, thereby securing its future. Described as ‘one of Britain’s most influential women’ and recognised for taking on “the worst job in local government” followed by “the worst job in football”. Until 1991, Heather held a variety of managerial positions at the London Borough of Hammersmith and Fulham before being appointed Deputy Chief Executive with responsibility for policy, personnel, communications, equality and community relations. She then moved to be the Chief Executive of the London Borough of Merton. During her time as CEO of Lambeth Council, Heather achieved a remarkable turnaround in its financial state, the quality of service and management, and staff morale. Council tax collections went up from 56 per cent, then the lowest in Britain, up to a more respectable 74 per cent, more than £40m was saved in the budget, and the workforce was reduced by 1,200 to 9,000. Upon leaving Lambeth Council, Heather became Chief Executive of iMPOWER, a public sector consultancy providing strategic consultancy to national and local government, focused on the use of new technologies to improve citizen’s access to services. 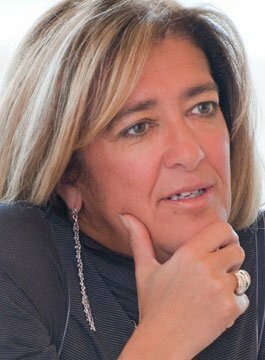 She subsequently became co-chair of iMPOWER and moved on to be Managing Director of Channel 4’s education programmes and business, 4Learning.